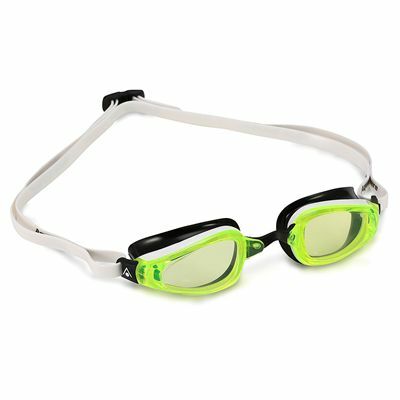 The Aqua Sphere K180 are low profile swimming goggles with polycarbonate, curved yellow lenses providing superior optic qualities. The goggles use Exo-Core™ technology to ensure lens protection and structural stability, while an easy to adjust head strap offers a personalized fit for maximum comfort in the water. They come with 3 interchangeable nose bridges and protect your eyes from harmful UV rays. Thanks to an anti-fog coating, the goggles guarantee mist-free vision and there is an ultra-soft Softeril® gasket delivering leak-free comfort during training sessions. In addition, the goggles are latex-free and made of hypoallergenic materials. for submitting product information about Aqua Sphere K180 Swimming Goggles - Yellow Lens We aim to answer all questions within 2-3 days. for submitting product information about Aqua Sphere K180 Swimming Goggles - Yellow Lens. We aim to answer all questions within 2-3 days. If you provided your name and email address, we will email you as soon as the answer is published. for submitting product review about Aqua Sphere K180 Swimming Goggles - Yellow Lens.